If you look at the Customs rules and regulations, you may find that they differ from one country to the other. While leaving or entering the borders, you have to follow and obey these ever changing customs rules and regulations. These rules are getting changed every day in this fast pacing environment. Custom processes can be much of a task at times. Bias Shipping is there to help you out. Right from preparation of custom docs, filling shipping bills and bills of entry to custom examination and clearance of the cargo we offer you this and much more. We are instrumental in providing excellent Custom Broking Services to our clients. Provided for garments, textile accessories and textile machines, these services are widely demanded amongst our clients. For our clients convenience, we are also engaged in handling reefer, fruit juice, dry fruits, solar module and iron castings. 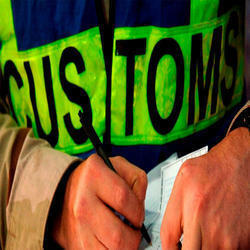 We provide effective Customs Brokerage services through associate company. All custom clearance needs under one roof. Our integrated services offer full documentation , warehouse space, custom clearance, further transportation. Matching up with ever increasing requirements of the customers, we are indulged in rendering Custom Brokerage service. We provide innovative solutions on the customs clearance and proactive measures are always taken in all the process. Furthermore, our service range is known for its promptness and timely delivery. We arranges deal between a buyer and a seller, and gets a commission when the deal is executed.We deals in all types of edible oils , non-edible oils and oil cakes. At Singhal trading company, we can assure you about the Services and the settlement. We are into the business of providing Custom Brokers to our clients engaged in various sector including corporate offices and commercial complexes. We strive to achieve the satisfaction of our client's and cleaning excellence in our services with the help of our trained personnel. We are one of the leading Custom Brokers, ensuring smooth and easy customs clearance for all our customers so that they receive their goods on time. Our Custom Brokers help ease Import and Export regulations and paperwork in record time for all of your shipments. Handling all the trade compliance and procedures, we help clear consignments by sea, land, and air more efficiently. In the global market place, rapidly changing demands on production and delivery schedules have placed increased responsibility on Customs House Brokers to provide expert Customs Services. Air-C Shipping Services Customs Clearance is all about simplicity. Customs rules and processes can be confusing in India, but our goal is to make clearance as easy as possible for you and to resolve any problems related to your exportation commodity. REAL PROPERTY SERVICES is a brokerage agency. We concentrate on estimating market value of the property through income analysis, sales comparable (an appraisal approach) and by replacement costs and knowledge of the commercial market place.